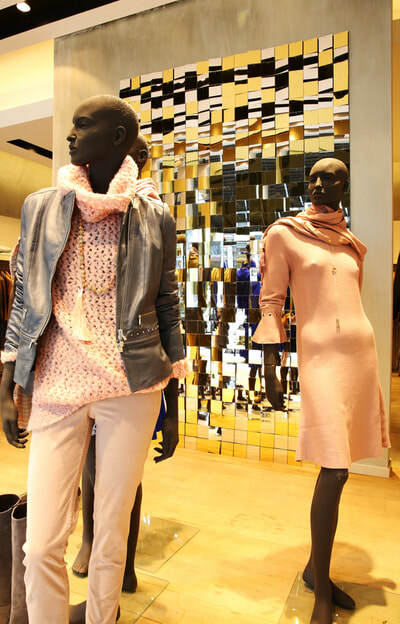 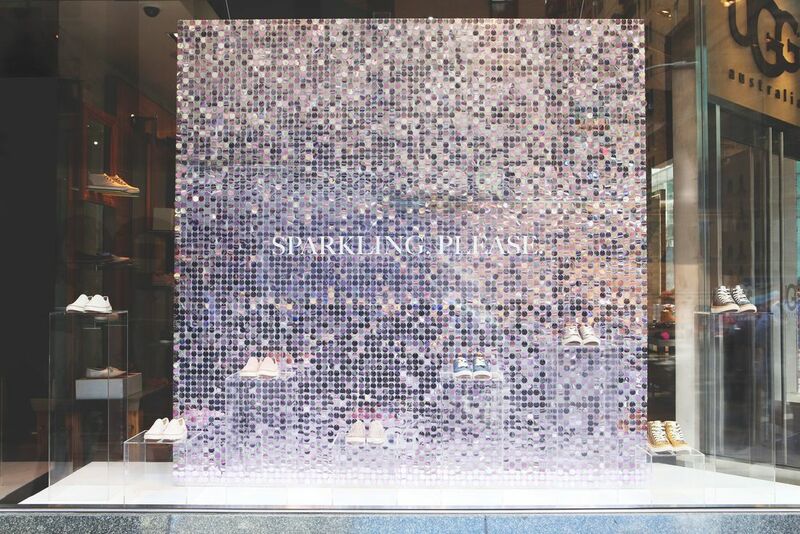 In late September 2017, fashion retailer Caroline Biss used our 300x300mm S98 base hanging tiles and beautiful mirror acrylic sequins to create stunning autumn window displays in 32 of their store windows across Belgium, Germany, Amsterdam and Luxembourg. 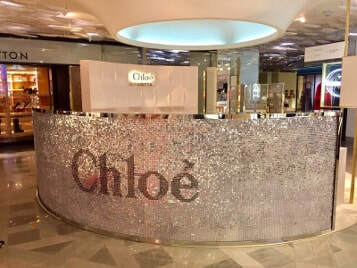 Our mirror acrylic sequins were laser cut in a 98x98mm square format for this project (although we can also offer this product in a diamond format, or to any designer preference). 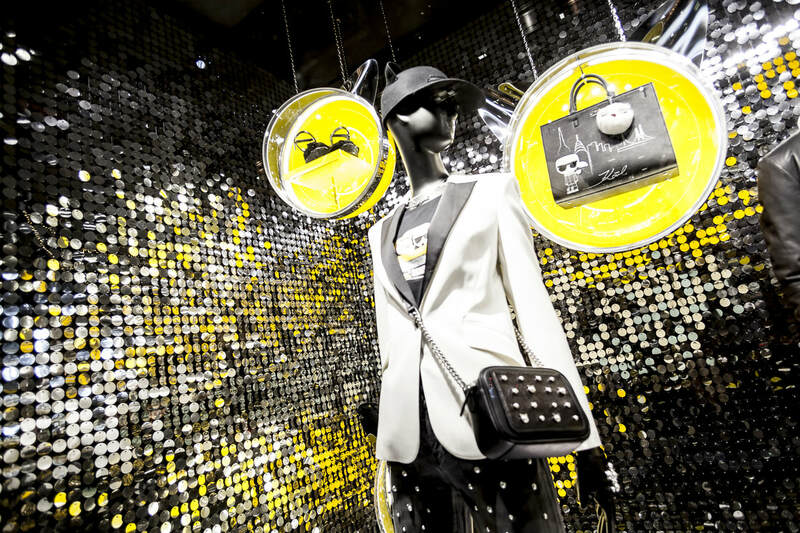 To create even more impact, silver mirror jumbo sequins were used in a mix together with soft gold mirror sequins requested by Caroline Biss’ talented visual merchandising and creative team to off-set the silver. 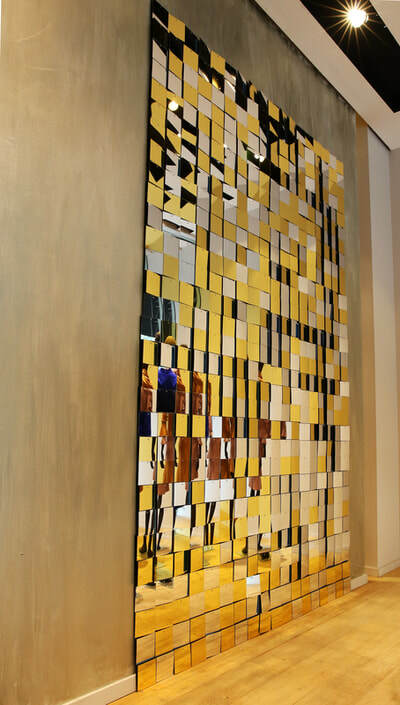 We loved the soft gold colour so much ourselves we have since added it to our sequin range in 30mm and 15mms sizes. The large mirror acrylic sequins are a great example of light reflective discs and will create a stunning installation in any situation that requires movement and light reflection. 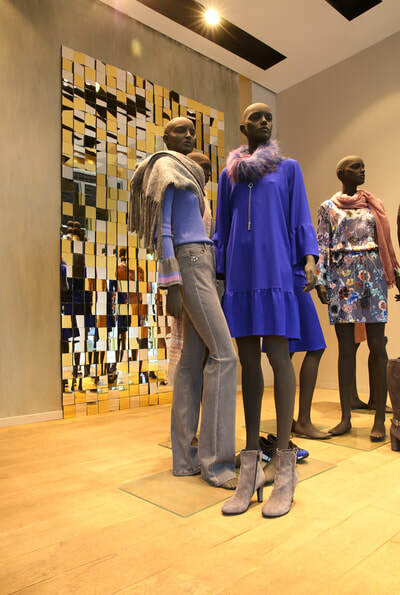 These windows were a great success and were featured in some retail display and visual merchandising magazines, see a review of the Project by retail design blog in the link.